Our most frequently requested service from Ashby Village members is driving. 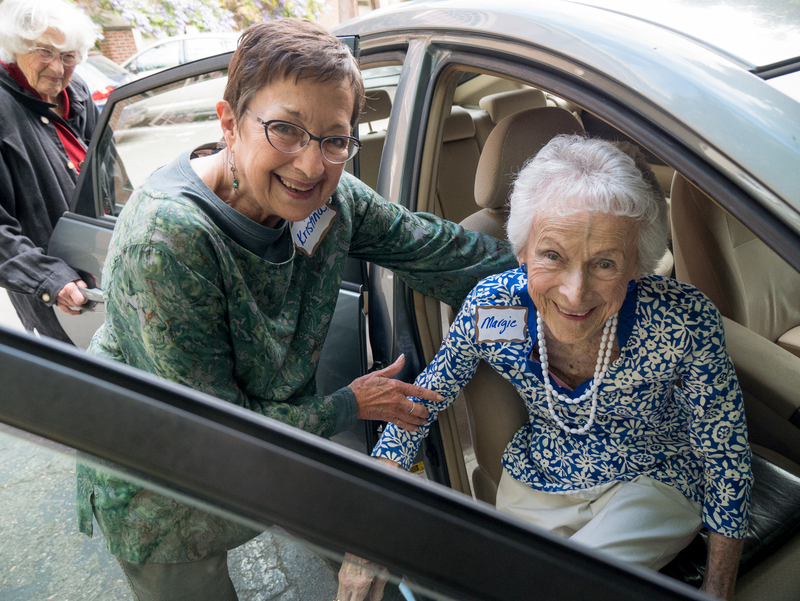 Volunteer drivers pick up members and drive them to and from various destinations: e.g., grocery stores, doctor’s offices, the post office, Village meetings, and even social and educational events. We strongly recommend 3-5 business days notices, and we cannot accommodate same day requests. 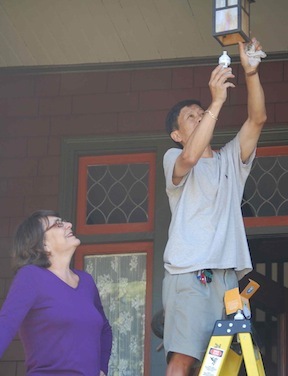 Handy person volunteers might repair a leaky faucet, or get a sliding door back on its tracks or even change a light bulb in a hard-to-reach location. Volunteers assess the member’s request either by phone or in person, and then ask the member to buy the necessary supplies or materials. Each job should last no more than 3 hours. For larger projects, we can recommend screened professional service providers (referrals). 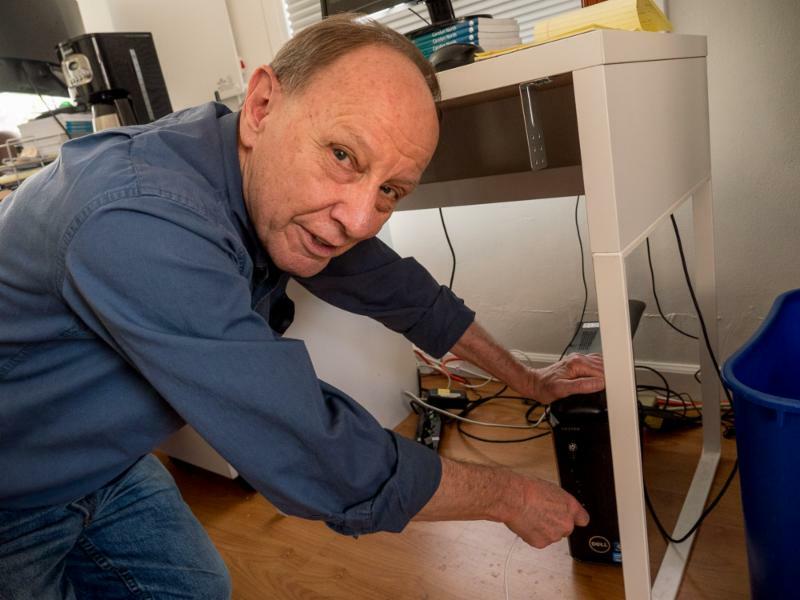 Many of our members find it difficult to keep up with ever-changing technology: they need help setting up a wireless connection or a new computer, they just don’t know how to use an iPad or a smart phone. Volunteers offer help with everything from computer problems to cell phones. Learn more about the technology team and their need for new volunteers! Times are changing, and Ashby Village is changing with it. This category of service involves assisting with electronic equipment, such as a VCR, a DVD player, answering machines or other items. Nowadays almost every electronic appliance has digital settings (even if it’s just setting the clock). 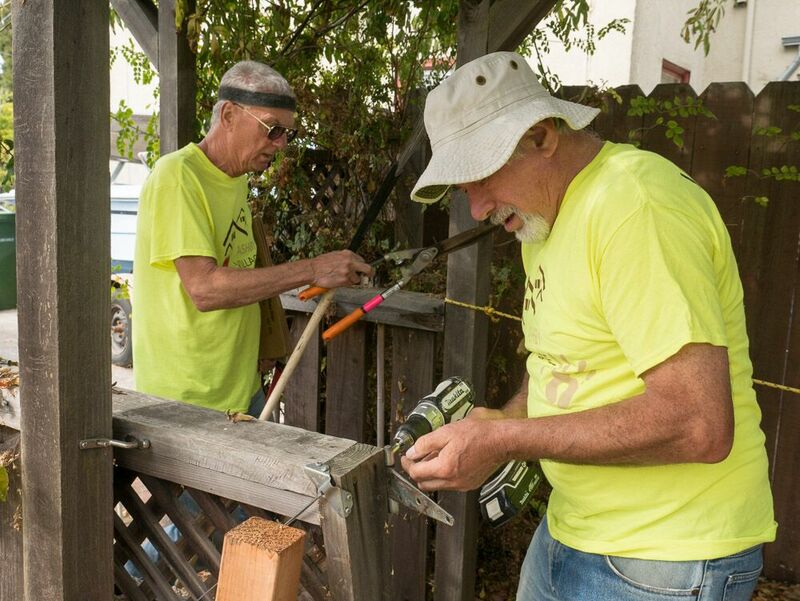 Volunteers help do light weeding, planting, raking, and small tree and bush pruning, water gardens and indoor plants when members are on vacation or recovering from surgery. Volunteers might offer gardening advice on where plants and flowers will grow best. Short walks, board games, watching movies, sitting and chatting, etc. 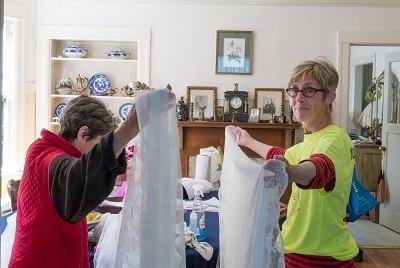 are some of the activities that volunteers participate in. This services meets a “one time” specific need. If a member wishes companionship on an ongoing basis, please check the services offered by the Connections Team. 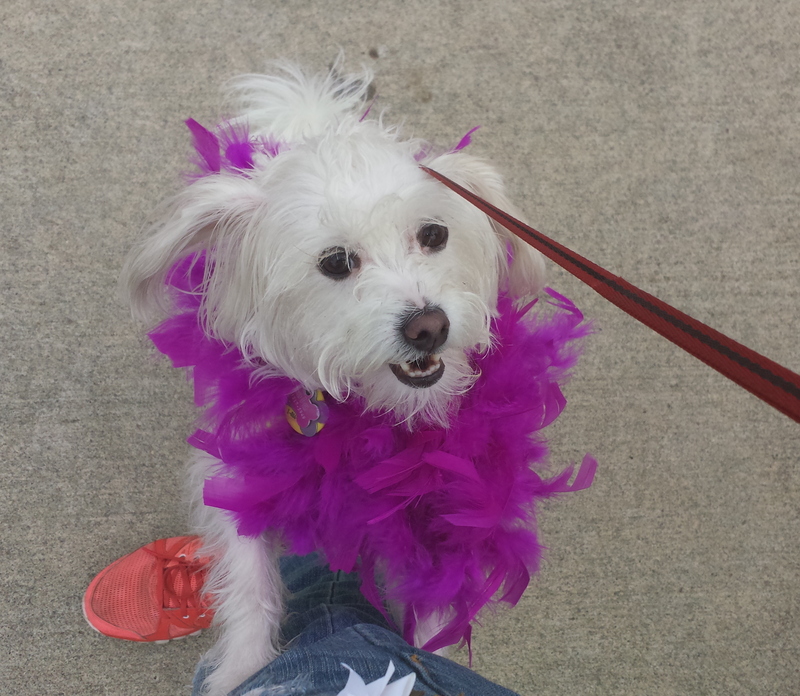 Members often need someone to feed or walk their dogs, feed or provide lap time for cats, watch pets while members recuperating from surgery, vacation or because a member is not as active as they used to be. Many Villagers, especially those with vision issues, need help with different forms of written documents. Volunteers could read a book or magazine article aloud, or help members read their email or snail mail messages. Some of our members feel safer if someone checks in with them on a weekly or even daily basis. Members really appreciate a home-cooked meal, whether prepared either at your house or their's, especially on occasions like holidays or birthdays, or before or after an extended hospital stay. For example: Help plan a party, help with sewing of knitting project, show how to check air pressure on car tires, help sell items on EBay. This is an open-ended list. Member needs and volunteer opportunities will define our offerings. - Next day rides are very difficult to fill, we highly recommend minimum of 3 business days advance notice. Unfortunately we are not able to provide same day rides. - Members must be able to transfer in and out of a car for any rides with volunteers. When deemed necessary, a care giver must accompany members to provide support. - Requests should not exceed 2-3 hours. Garden/yard work is limited to 1 hour. - Volunteers will not be able to provide any back-breaking, heavy lifting/moving or unsafe requests. IE climbing roof to clear out leaves, cutting down trees, using power tools, etc. - Services requiring a license must be completed by paid professional provider. IE electrical work, plumbing, contracting, care-giving, etc. Volunteers cannot perform Activities of Daily Living (ADL) such as feeding, bathing, home care etc., though we do refer members in those circumstances to appropriate resources through our Social Care Team. When the requests are outside the scope of volunteer capacity, we can assist members in finding a paid professional.